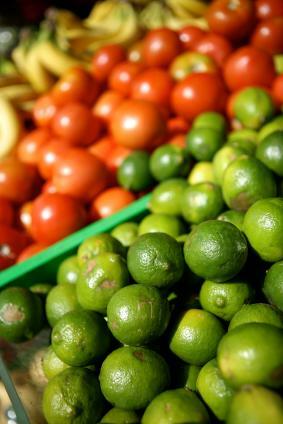 Fresh produce is typically rich in potassium. The length of time necessary for a potassium supplement to take effect within your body depends on numerous factors. Your overall health and your reason for taking a potassium supplement are amongst many dynamics that influence the efficacy of potassium supplements. When ingested by a healthy individual, potassium typically enters the bloodstream quickly, within less than an hour. However, this speedy delivery into the bloodstream does not always imply an effective treatment. Potassium supplements can be a complicated issue, and your body's mechanisms will have a profound effect upon its bioavailability. Potassium is a dietary mineral and electrolyte that is implicated in all sorts of bodily processes. Digestion, elimination, and muscle movement represent a few of the many roles of potassium. Since the heart is a muscle, potassium is one element that regulates its function. The University of Maryland's Medical Center reports some interesting facts about potassium deficiency. Potassium is a very common mineral that can be found in a wide variety of foods. For the most part, it is difficult to develop a potassium deficiency through diet alone. Potassium deficiency, also called hypokalemia, is typically a secondary issue brought upon by a primary health condition. Certain bowel and kidney diseases can lead to fluctuations in your body's electrolytes which may lead to a potassium deficiency. Diseases that lead to excessive urination or diarrhea are very common causes of potassium deficiency. Such conditions flood essential electrolytes from the system, including potassium. Though it is difficult to lack potassium, even in a modern diet, the excessive consumption of sodium in Westernized diets can affect potassium levels. The body requires a specific ratio of sodium to potassium. Consuming foods that are high in table salt will eventually exhaust the body's potassium supply, thus causing a deficiency. The real focus of potassium deficiencies should be the underlying cause. The reasons that necessitate potassium supplements will have the greatest influence on how quickly and effectively a supplement will act. Do note that potassium supplements should never be taken without prior consultation with a physician. A condition of potassium excess, hyperkalemia, can be every bit as harmful as a deficiency. Moreover, patients with certain heart and kidney diseases are often ineligible for such supplementation. Potassium supplements should always occur as a prescribed order from your doctor. Your primary health condition is the key to understanding your own individualized need for potassium and its rate of absorption. Potassium is absorbed quite easily in the small intestine, provided that the intestinal motility is not excessively rapid. If you have an underlying illness that leads to excessive urination or diarrhea, your body may attempt to absorb the potassium quickly, but the increased intestinal motility will lead to inadequate absorption. Unless such motility issues are specifically caused by an electrolyte deficiency, your potassium supplements will act more as a maintenance barrier against the encroaching severity of this condition than as a cure. Some people require potassium supplements as a remedy for muscle weakness or high blood pressure. Though the amount of potassium taken will influence the speed of results, you will usually notice a difference in symptoms within just a few days of treatment. The severity of your deficiency will determine how rapidly you improve. Though potassium reaches the bloodstream quickly, it may take a while to build up a bank of this mineral. Occasionally, potassium deficiencies result from the usage of certain prescription or over the counter drugs. If this is the case, potassium supplementation will be necessary as long as you continue to take such medications. Diuretic drugs will affect your potassium treatment negatively. Such agents increase the output of water from the kidneys, thus increasing the output of both sodium and potassium. Dietary elements such as coffee and alcohol also have a diuretic effect on the body and can cause an increased excretion of potassium. When doctors prescribe diuretic drugs, they often prescribe potassium, as well. In this case, you must continue to take potassium as prescribed, because it regulates heart function and stopping without a doctors' permission can have serious consequences. Patients undergoing long-term antibiotic therapies may also suffer from potassium deficiencies. The Oregon State University's Linus Pauling Institute provides a wealth of information regarding potassium supplementation. Potassium supplements are available in a variety of salt forms. Some individuals may find that some potassium supplements seem to be more highly absorbable or effective than others. If you begin your potassium supplementation and fail to notice any results within a few days, do not increase your dosage without consulting your health care provider. In some instances, potassium may need to build up slowly in your system and improvements will occur gradually. Even when your potassium regimen is recommended by a physician, you will want to familiarize yourself with the signs and symptoms of hyperkalemia in order to avoid a toxic excess. Before your doctor has a chance to diagnose a condition of hyperkalemia, it is likely that you will experience one or more of the tell-tale signs. Patient responsibility regarding such indications, especially if you are on a prescription-dose potassium supplements, may save you from the more severe complications of potassium toxicity.